Out of money and long overdue on a promised job task, I actually went to work for a few days. Almost done, I was interested in what the warm temperatures had done to the snow. Wearing hiking boots, I packed the little skis up the Bowman trail, eventually skiining from near the bottom of Pole canyon. 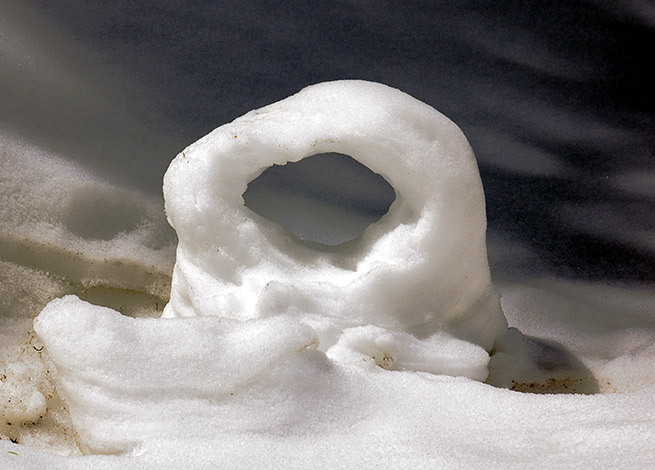 Melting snow donut found near the debri pile at the base of the main Gobblers gully. 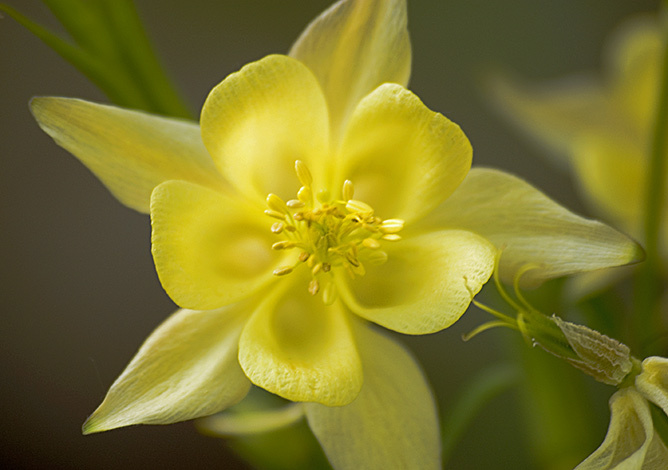 Back in the valley, I couldn't resist the blooming yellow Columbines.